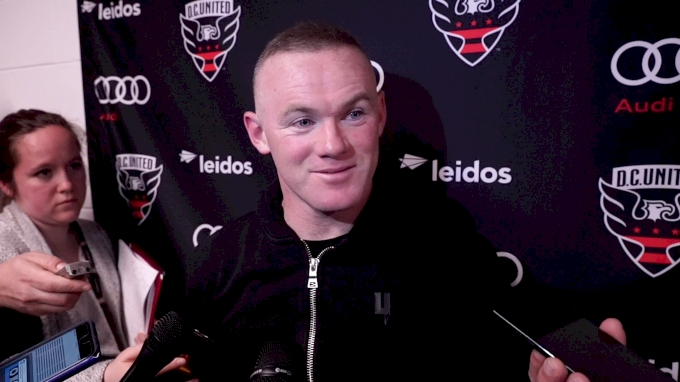 D.C. United dismantled a pretty decent Real Salt Lake team on Saturday night behind Wayne Rooney's first hat trick since moving stateside. Lots of other stuff happened in the MLS over the weekend, but nothing was better than Lucas "Titi" Rodriguez's volley. I promise you that. 1. Right here on FloFC: Lots of recap action from the weekend's game. Watch the full replay if you want. Watch the condensed replay. Watch interviews with Rooney, Steve Birnbaum, Russell Canouse, and Paul Arriola. Watch Rooney play basketball (Earl Edwards Jr. is actually pretty good.) Watch Luciano Acosta and Junior Moreno play a game in the locker room. 2.. He said it: Head coach Mike Petke of Real Salt Lake had this to say after his team's 5-0 loss to the Black-and-Red. 3. Vote for the MLS Goal of the Week. Look, I'm as happy as anybody about the return of Jordan Morris to the Seattle Sounders, and he scored a nice little goal against the Chicago Fire over the weekend. But was that goal sexier than Titi's golazo volley off a Rooney corner kick? No way! Please go vote for Titi. 4. The international break is upon us, but don't despair: The Concacaf Nations League is airing right here on FloFC for U.S. viewers. There's a very tasty Jamaica-El Salvador matchup on Saturday, some Alphonso Davies action, and a lot more. Check out our event page for all the games on the slate. 5. More Nations League, specifically the Canadian national team: Jonathan Osorio is pretty psyched about the talent they're developing up north, including but not limited to Davies. Via Toronto Sun. Canada play on March 26. 7. One of my favorite dudes, Cheuk Hei Ho took a deep, deep dive into AC Milan's hopeful rise. This one is worth a perusal whether or not you're a Serie A fan. Via FloFC. 8. Here's a cool profile from Jon Arnold — who will be covering the Concacaf Nations League for FloFC — on the consistent, extremely solid Matt Hedges. Via SportsDay.